Xonvea is a medicine used to help prevent nausea during pregnancy (often called morning sickness). It contains a type of drug called an antihistamine, and vitamin B6. It’s simple to get the treatment you need with our confidential service. Click below to buy Xonvea online from our UK pharmacy, and once your order has been approved by our doctor, your medicine will be dispensed and shipped by tracked courier. Xonvea is a tablet medication that can help to treat nausea and vomiting during pregnancy (also known as morning sickness). It contains two types of active ingredient: an antihistamine, called doxylamine; and pyridoxine, which is vitamin B6. 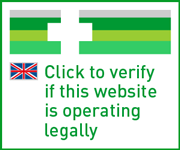 You can only buy Xonvea online or in person with a prescription in the UK. When you take Xonvea, you’ll normally start on a low dose, and a doctor will increase this according to how well it works. Nausea is another name for the feeling, or urge, to be sick. It many cases this sensation will be accompanied by feelings of dizziness, and vomiting (actually being sick). It can be brought on by many different triggers. For example, certain smells (such as that produced by particular foods) or motions (swaying to and fro on a boat or a train) have the capacity to induce nausea. Morning sickness is when someone experiences nausea during early pregnancy. It’s very common. According to the National Childbirth Trust, about 90% of pregnant women will have nausea to some degree (although not all women who develop morning sickness will have vomiting). Despite the name, the symptoms are commonly not limited just to the morning. Women can experience ‘morning sickness’ at any time throughout the day. It’s not exactly clear why it occurs. Theories suggest that it could be the body’s immune response trying to protect the baby from external toxins. Some doctors also think that it could be caused by a hormonal imbalance that occurs during pregnancy, or a deficiency of vitamin B6. For most women, symptoms will dissipate by around weeks 16-20. Even though morning sickness is perfectly normal and, in the vast majority of cases, not a cause for concern, it can be an unpleasant experience to go through. In any case, it’s important to stay hydrated, and to try to eat as healthy and balanced a diet as possible. Some other helpful measures you can take to alleviate symptoms of nausea during pregnancy are to get plenty of rest, eat blander foods (that aren’t as likely to irritate your gag reflex), and to eat smaller portions but more frequently. Meals lower in fat but higher in carbohydrates are thought to be helpful. There is a more serious form of morning sickness, called hyperemesis gravidarum. This is where symptoms are so severe that fluids cannot be kept down, and can lead to problems like dehydration. However, hyperemesis gravidarum (or HG) is thought to be rare, affecting less than one in every hundred women with morning sickness. If you develop serious symptoms, such as a high temperature or blood when you vomit, and cannot hold food or drink down for 24 hours or more, you should see a doctor as soon as possible. For women who have mild to moderate symptoms of morning sickness, who find that the self-help measures described above have not helped, medication can be useful. Xonvea is a prescription treatment, that contains an antihistamine called doxylamine, and a form of vitamin B6 (pyridoxine). The drug helps to supplement levels of vitamin B6 that our bodies use up more during pregnancy; a deficiency in this vitamin is thought to be a contributing factor in nausea. The antihistamine agent helps to suppress the body’s immune response to external factors which can induce nausea. To buy Xonvea online from our UK pharmacy, click below to begin our remote doctor consultation. You’ll be given a questionnaire to fill in, and our practitioner will review your answers and issue a prescription if the treatment is appropriate for you. This will then be sent electronically to our dispensing pharmacy, and your order will then be prepared and shipped by tracked, next-day delivery. Make sure you read the patient information leaflet before use, and follow the instructions provided carefully. Take as directed by your prescriber. Normally you’ll start on a low dose, and your doctor might increase this according to your response. On the first day of treatment, take two tablets at bedtime. Do the same on the second day. If your nausea was better on the second day, you should continue to take two tablets each day. If you still felt nauseous on the second day, on the third day you’ll be advised to take three tablets (one in the morning and two before bedtime). If your nausea was better on the third day, continue to take three tablets daily (one in the morning and two before bedtime). If you still felt nauseous on the third day when taking three tablets, increase your dose to four tablets on the fourth day (one tablet in the morning, one tablet mid-afternoon and two at night). Four tablets a day is the maximum dose. If you still have symptoms when taking four tablets, speak to your doctor. Take the tablets on an empty stomach. If you stop taking Xonvea suddenly, your symptoms may return. If you’re not sure about anything to do with this medication, ask your doctor or your pharmacist for further advice. If you notice any side effects that become serious, you should go to your nearest hospital or see a doctor as soon as possible. This includes any signs of an allergic reaction, such as hives, breathing problems, or swelling of the face, throat or lips. Your doctor needs to know if you are using any other medications. In particular, you should not take Xonvea and ask them for advice if you are taking: MAOIs, which are used in depression; cough or cold treatments, or medicines to help with pain or sleep problems; or any vitamin B6 supplements. Tell your doctor about any medical conditions you have, or have had in the past during consultation. The treatment may not be suitable for you if you have ever had: asthma; increased pressure in the eye; narrow angle glaucoma; a stomach ulcer; or a blockage in the gut or bladder. This treatment is specifically intended for use during pregnancy. If you are breastfeeding, you may be advised to not take Xonvea or to stop breastfeeding. Talk to your doctor beforehand in such cases. It is not recommended that you do not drive or use heavy machinery when taking Xonvea, as it may make you feel tired or sleepy. You should not drink alcohol when using Xonvea. Drinking alcohol during pregnancy can harm your baby. The NHS advises that the best thing to do is not drink alcohol at all while you are pregnant. No. It is recommended that you do not drink alcohol when taking this medicine, or at all during pregnancy. You should not drive when using Xonvea as the treatment may make you feel drowsy. Yes. Xonvea is indicated specifically for pregnant women with morning sickness. In a safe place, where it cannot be reached by children. methacrylic acid-ethyl acrylate copolymer (1:1), microcrystalline cellulose, allura red AC aluminium lake (E129), polysorbate 80 (E433), propylene glycol (E1520), colloidal anhydrous silica, shellac, simeticone emulsion, sodium bicarbonate (E500), sodium lauryl sulfate (E487), talc (E553b), titanium dioxide (E171), and triethyl citrate. Do not use Xonvea if you are allergic to any of the above ingredients. No. Xonvea is a prescription only treatment. How can I buy Xonvea online? Our private and confidential service enables you to order Xonvea from a UK pharmacy. Click ‘buy now’ to proceed to our medical questionnaire. Once complete, your answers will be reviewed by our doctor, who will issue a prescription for your treatment if it is right for you. This will then be dispensed at our pharmacy, and sent to you by secure courier. If you have severe symptoms of morning sickness, and are unable to hold fluids down, you should see a doctor as soon possible.